One of the things we're frequently asked at the library is, "Can you tell me if I've read this before?" or some variation of "What was that book I checked out last month about..." --and our answer is: "Did you opt into your reading history?" 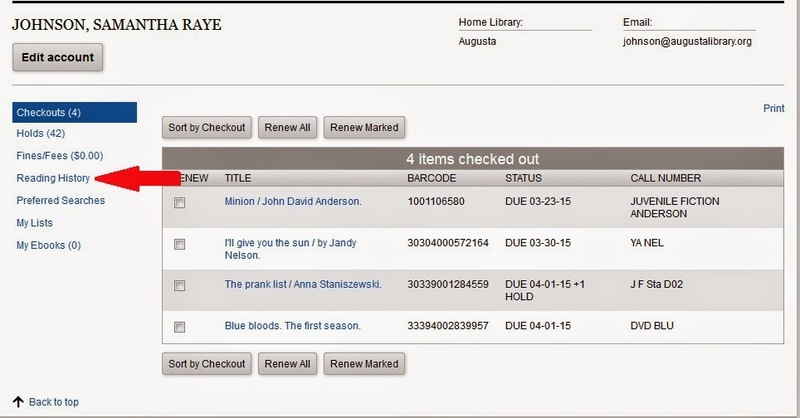 Unlike some of our previous library software, we actually keep a record where we can see what you've read, but it's easy to opt into using the MORE Catalog! 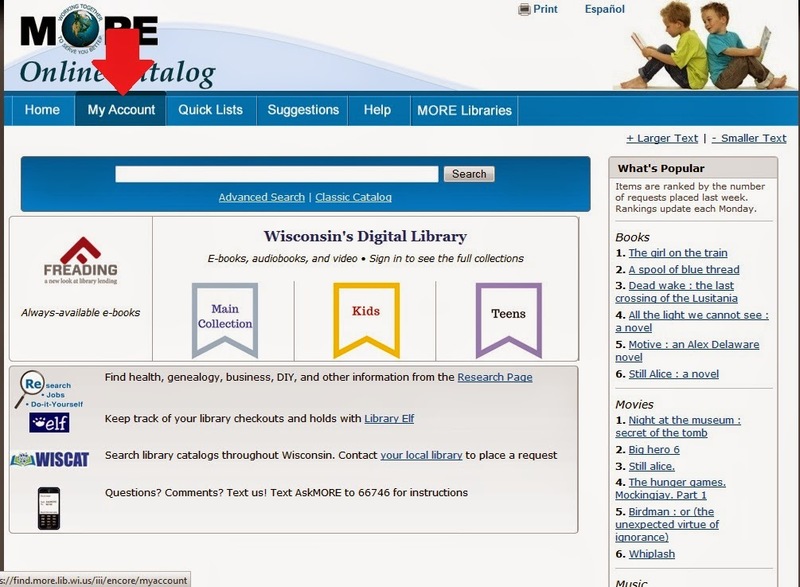 Step 1: Visit the MORE website URL, printed on the front or back of your library card. Step 2: Click on the "My Account" button located at the top of the page. *Pro Tip 1: You only need to use your last name. *Pro Tip 2: Memorizing your card is EASY! "20" designates a patron, "286" is an Augusta phone number, followed by "000". The last 6 digits are what are unique to you! *Pro Tip 3: If using your home computer, you may want to have your computer save your log-in information. But DO NOT do this on library or other public computers! Step 4: On your account screen, select "Reading History"
Step 5: You will be on a page SIMILAR to the one below, with a button that says "Opt In". Click the button --and you're all set! Once you've opted into your reading history, it will be easy for you to keep track of what you've read. This is particularly helpful for people who read series, parents who want to track reading habits, and those who like to re-read books.